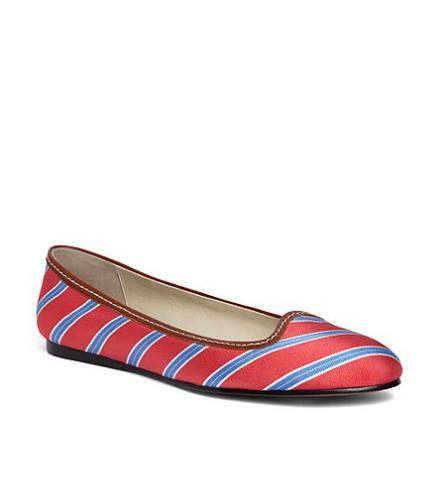 I love the silk tie ballet flats from Brooks Brothers. My favorite detail is the shape of the toe box, which give the shoe a subtle smoking slipper look. My favorite is probably the pink and navy shoe, but the pink and green and the coral and blue are fantastic as well. They're the perfect flats for spring.